The full moon two nights ago was a wonder filled moon indeed. It was a wild day weather wise and we wondered if we would go outside at all. 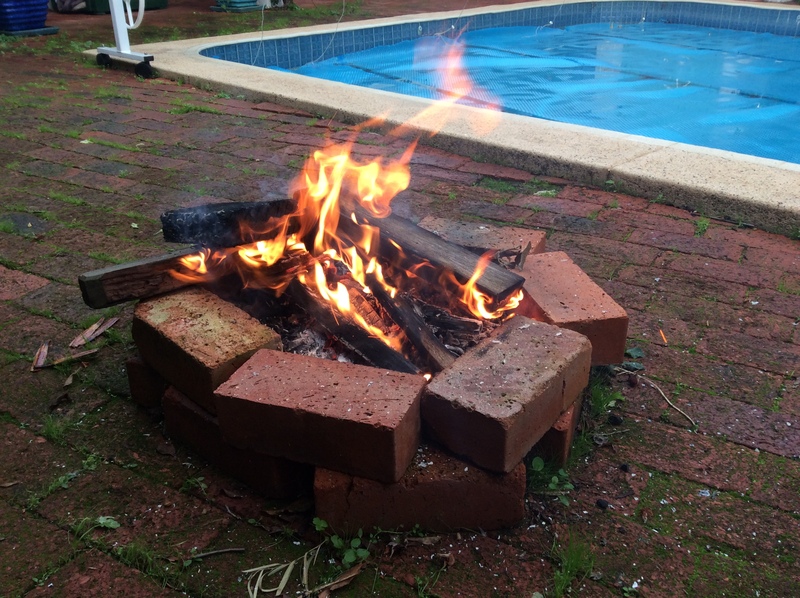 About 4:30pm I decided to make the fire, two squalls of rain came through however my fire decided it was going to burn. You can see the water laying on top of the pool blanket in the background! I called my friend and said the fire is alight despite the rain so over she cam one the sun had set. 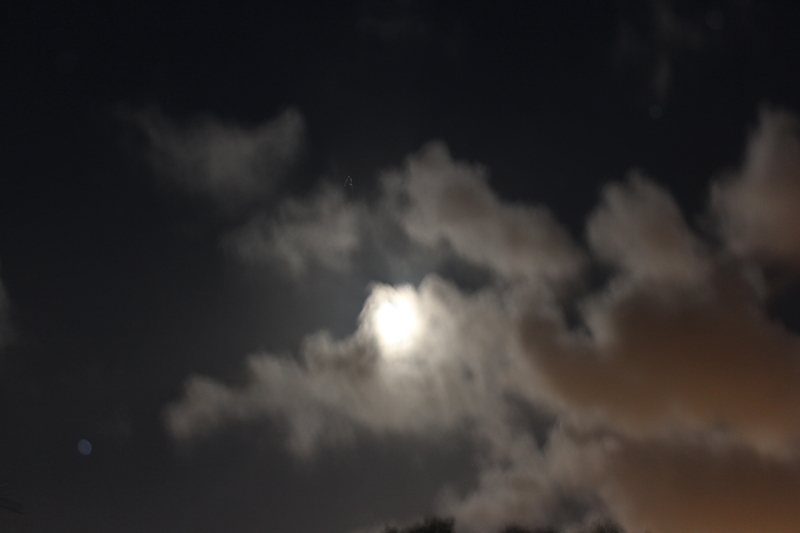 We were treated to the fullness of the magic that the Sagittarius moon could bring, the cloud cover dispersed and the moon appeared in our sky. Shining luminously down upon us. We cast our circle using a combination of invocations from the ancient ways. We both offered and received blessings from all around in these realms and across the veils. We were struck by the harmony and balance that poured into and expanded in all directions. The shape shifter from the spirit realms joined our circle and was working to heal our Earth mother changing the resonating frequency to a more harmonious mode. The Inca man stood watching and telling us keep doing the work we were doing. The balance that is created by casting a circle should not be underestimated. It is a perfect symmetry of energies and visions coming together, East-West, North-South, Above-Below all in perfect harmony working with each other across the circle as well as in the round. Never lose sight of the fact that small steps taken by caring people adds up to a mighty roar. We are a part of the bigger picture and sometimes can feel overwhelmed by the nasty news stories unfolding daily. However it is up to us all to hold love and hope in our hearts. The photos were taken with me standing holding the camera, with the wrong lens… genuine photographers have nothing the fear from competition from me. 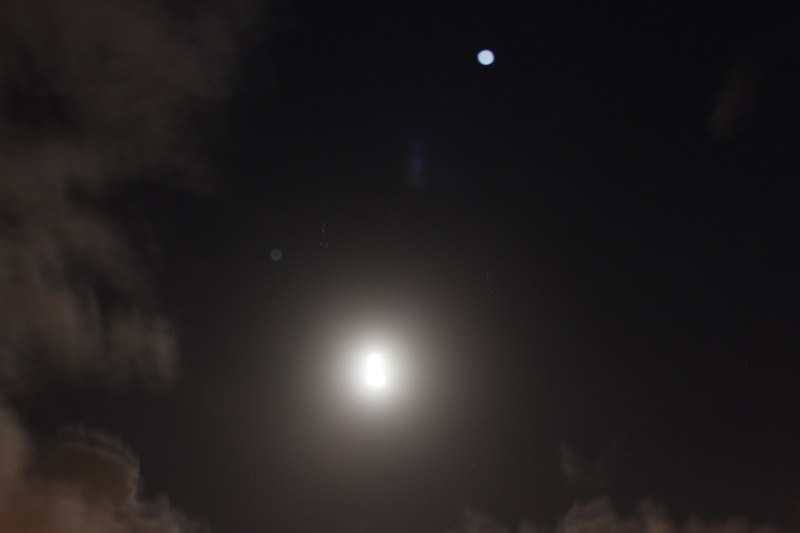 What was spectacular were the number of orbs in the sky, you can clearly see them in the photo below. The radiating gifts from the moon bestowed great wealth and peace within. We closed our circle and the clouds came over, the winds that resonated and blew in the blessings continued to blow and then the rain came down to wash away all that no longer served us.